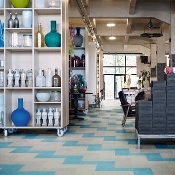 Marmoleum Flooring Linoleum, Natural, Bio-based Sustainable Flooring in Tile, Sheet and Click. Bulletin Board Cork Tackable Wall Surface in 15 Architecturally Pleasing Colors. Flotex, Anti-Microbial, Waterproof, the Perfect Carpet Alternative for Basements! 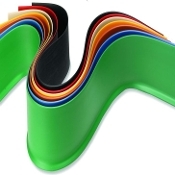 Forbo Specialty Adhesives, Padding and Moisture Mitigation Products. 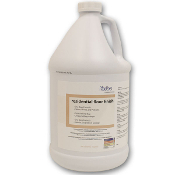 Forbo Neutral PH Cleaners and Forbo Finishes to Restore your linoleum floors. FREE Samples, FREE Online Interactive Planning Estimating Tool, FREE Installation Advice. 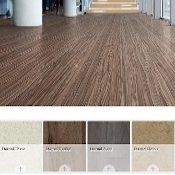 Online Flooring Professionals Who Help You, 40 Years of Experience, 1000's of Happy Customers. 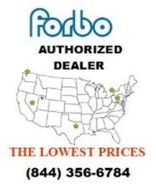 The Lowest Prices and The Lowest Delivered Price Guarantee. 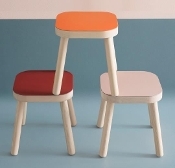 NEW TO MARMOLEUM? PLEASE READ "THINGS TO KNOW" IN THE LEFT HAND TABS. FREE STANDARD SHIPPING ON ALL CINCH-LOC! 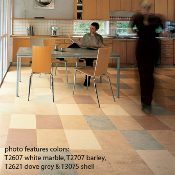 MCT Marmoleum Composition Tiles are a bio-based alternative to VCT or vinyl plastic flooring. 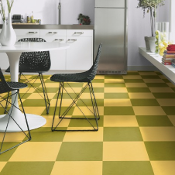 Low prices and fast and easy, novice installation means low costs and make this a smart floor. This is the real old-fashioned, grandma's heavy duty kitchen linoleum in almost 200 incredible natural linoleum colors available in 79" wide roll material. Sold by the square yard, measured as 16.4" off the continuous roll. 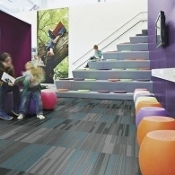 Forbo Marmoleum Composition Sheet Commercial Grade MCS is a little thinner at 2.0 mm than traditional MDS sheet. Limited color choices. Sold by the square yard, measured as 16.4" off the continuous roll. 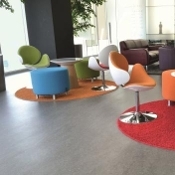 Marmoleum Decibel with accoustic layer provides comfort and reduces sound by 18dB. Available 24 classic colors. Sold by square yard, measured as 16.4" off the continuous roll. 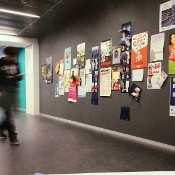 Uniquely safe with little odor and no hazardous or toxic chemicals, Forbo specialty flooring adhesives are recommended for Marmoleum, Flotex and Coral to preserve warranties and improve project performance. For best results in residential, commercial and institutional applications, use only Forbo branded Cleaners, Finishes and specialty maintenance products. 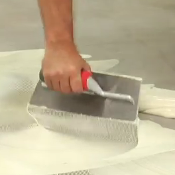 With over 150 years experience in the linoleum business, why trust any other brands? 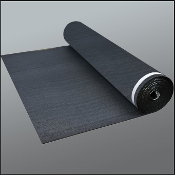 Flotex Flocked Floor Roll or Sheet material glues down permanently and with easy to seam factory edges is easy to install clean or sanitize, it is completely waterproof and is machine scrub-able. Available in four different color and pattern series! 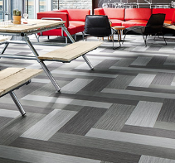 Flotex Flocked Floor Plank is a new product available in a 10”x40” plank. We offer exciting floor designs that offer endless possibilities to mix & match, perfectly adapted for all sorts of environments. Flotex Carpet Tiles might be the best alternative to carpet for people with asthma and allergies. Easy to install clean or sanitize, they are completely waterproof and can even be re-purposed. Available in eight different color and pattern series! Forbo Grip Hyper-abrasive matting systems do a fantastic job of getting IAQ pollutants off shoes and leaving it outside where it belongs. Adding extra lifetimes to indoor floor coverings is an added bonus. Offered with or without backing. 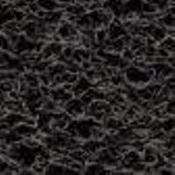 Coral Brush pure can be used in all types of entrance areas and is an ideal solution when you need movable, bound barrier matting that can simultaneously absorb moisture and remove dry soiling. STOCK 10 to 14 days. NON STOCK 7 to 9 weeks. 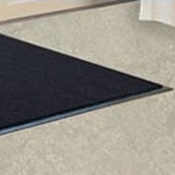 Forbo Coral Entrance Systems also come by the roll or yard for a fully adhered matting application. Available in Brush Pure and Brush Duo. 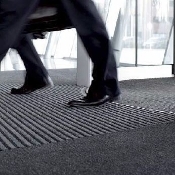 A Forbo entrance system can remove up to 90% of soil from shoes at the entrance. STOCK 3 to 10 days. NON STOCK 7 to 9 weeks. Forbo Colored Cork Bulletin Board Tackable Surfaces is a roll product that comes in a range of rich colors and intensities that make it suitable for combining with other materials, such as wood, stone or aluminium. Used in backsplashes, hallways and entertainment units! Forbo Wall Base is made of high grade resins, thermoplastic binders, fillers and pigments, and is available in 4" and 6" heights, in cove or straight toe styles. Professional Flooring installers know you cannot do a great job without the right stuff. 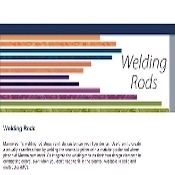 Full rolls of welding rod are 165 feet in length and are available in solid and multi-color styles. Forbo welding rod is sold by the foot or by the roll. The minimum cut length that can be purchased is 30 feet. 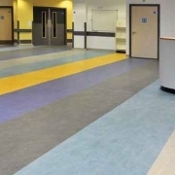 Marmoleum Click comes 12x12 and 12x36 sizes. Mix and match for checkerboards and scattered color designs. Healthy and safe for people with asthma and allergies, installation is simple and doesn't require any adhesive.